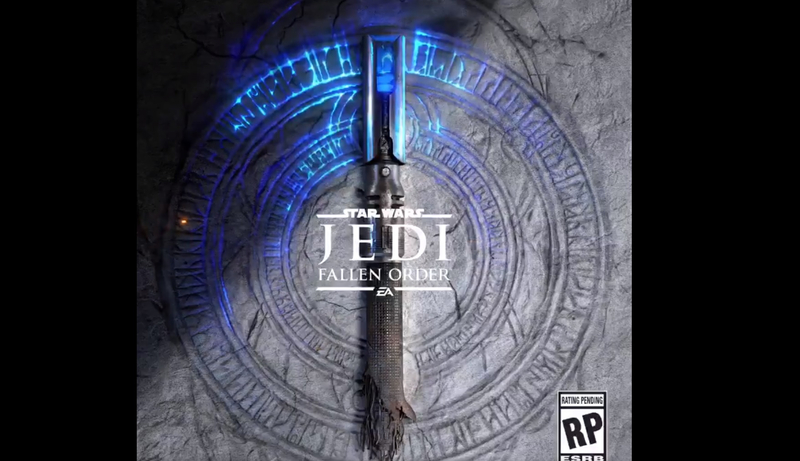 EA is teasing this Saturday's first reveal of Jedi: Fallen Order. The game will be shown during the Star Wars Celebration on Saturday, April 13th at 11:30 am Pacific / 2:30 pm Eastern. The teaser shows an image that looks like a broken hilt, perhaps of a light saber or other polearm. It sits on a granite stone with two circles underneath, each with a number of runes on them. The message is an odd one too: "Don't stand out." What this means has the fandom turning itself inside out. One writer at IGN suggests that this is likely due to the fact that players will be a lowly Jedi Padawan "during the aftermath of Episode III's Order 66" when Palpatine ordered Jedi to be wiped out completely. "We'd expect the game's protagonist to want to blend in and hide from any authorities."